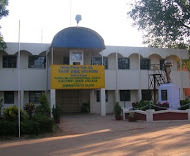 Kolar Gold Fields - NOSTALGIA: BOOK REVIEW .."Kolar Gold Fields – Down Memory Lane - Paeans to Lost Glory"
BOOK REVIEW .."Kolar Gold Fields – Down Memory Lane - Paeans to Lost Glory"
Kolar Gold Fields – “Down Memory Lane - Paeans to Lost Glory" is a book written by Bridget White, published in July 2010 by Author House UK Ltd.
We now have access to this little “nugget” from the gold mining era as the book is available in India, reprinted August 2010 at Matha Prints Bangalore. Bridget White is an Anglo Indian who was born and brought up in KGF and had most of her education in that little mining town. 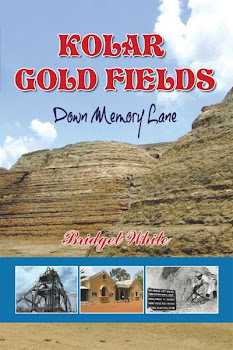 Bridget’s “Kolar Gold Fields – Down Memory Lane “Paeans to Lost Glory” is her tribute to the community, and to her fairy tale like upbringing that could not be more realistic to her or to those of us who were privileged to have experienced that lifestyle many years ago. In her approach to writing the book Bridget expressed to me that she constantly kept her readers in mind. She wanted her book to be fairly unsophisticated and took extreme care not to use language that would require a dictionary every two pages. If her prospective readers, on the other hand are highly educated and well read, then she did not want to patronize them by writing in a grossly simplified misguided attempt to impress them. She chose simplicity and told a story. The book is clearly laid out with three main chapters. The first chapter deals with the history of KGF. Compact, factual, interesting, punctured with legends and folk tales that made wide eyed children on bonfire nights gasp at some of the stories that did the rounds. John Taylor and Sons were synonymous with the Mines and they came with their culture and their bungalows and a life style that mostly all Anglo Indians adapted to as a fish does to water. It is amazing to see a photograph of the great man himself on page 16 of the book. Bridget has priceless photographs of the mines that have now deteriorated and are dangerous to approach let alone to venture in. Bridget talks about the churches, schools and hospitals, the lifestyle of the people who lived there and who enjoyed the establishments of clubs and institutes and the simple hardy dangerous life of the miners. The second part of the book covers the lives of the Anglo Indian Community, a living legacy of the British Raj, the origin of “Anglo Indian”, their culture and lifestyle. It recalls the glorious days of dance and song, of sprawling bungalows, beautiful gardens, hard work and dignified living. The last part of the book is autobiographical as Bridget reminisces on her childhood and teen years in a home that had all its values and morals intact. Memories are stirred as she recalls school days and games, picnics and the movies, sports and dances. She captures these memories colorfully and pens them down for posterity. 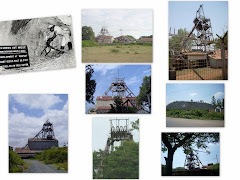 Enjoy “KGF Down Memory Lane “ as Bridget relates her joys of growing up, the land of Gold that drew international attention to mining, the lives and times of the miners and the myriads of people that walked those streets and lived those times with gutsy, positive, joyful attitudes. In “Summing Up” (pun intended ) as Somerset Maugham would aptly say of his aforesaid novel, “a good style should show no sign of effort. What is written should seem like a happy accident”. This book was a “happy accident” waiting to happen! I’m glad that Bridget pursued her dream to narrate it and to tell a story that will be told over and over again. Colleen Nicholas is an ex-resident of KGF. She currently lives in Bangalore and conducts classes on Spoken English and prepares students for the IELTS, SAT and GMAT Exams. She is also a Beauty Consultant and Aroma Therapist.